In episode 298, Douglas Brown interviews Greg Spence, Sr. Product Marketing & Business Development Manager, Cloud Solutions at Samsung Electronics. 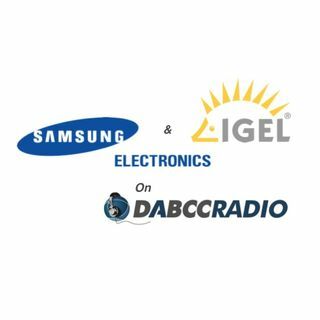 Greg and Douglas have a lively conversation about the EUC space, how IGEL and Samsung fit in to it, mobility, the Samsung DeX and much more. Greg does a great job explaining where he sees the need for a managed end-point in the modern IT world. Greg Spence leads business development for VDI endpoints at Samsung ... See More Business. He has been in the desktop virtualization space since 1998. Looking at cloud access from the viewpoint of the IT buyer, Greg has guided development efforts leading to new designs that enhanced the usability, manageability, performance and power consumption of thin/zero clients. With a background in electronics engineering and information systems, Greg’s deep expertise and vision have consistently moved the needle forward, innovating cloud access technology at the endpoint. Mr. Brown was awarded a US Patent relating to “social content management”, US#8903912, https://www.google.com/patents/US8903912. Mr. Brown is also the host of the #1 rated virtualization and cloud podcast show, DABCC Radio, https://itunes.apple.com/us/podcast/dabcc-radio-virtualization/id258573451. Good episode, however I think you need to revisit your knowledge of ChromeOS - there is a cloud based management console that covers both G-Suite and ChromeOS so you can manage devices and applicatons remotely. Chromeboxes offer a decent alternative to static thin clients in many scenario's.